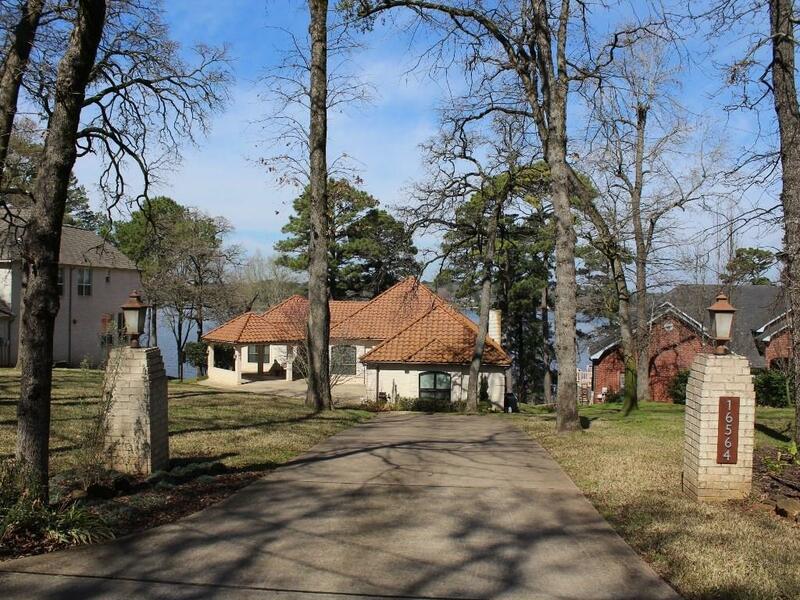 Incredible Mediterranean Lakefront Home for sale on Lake Palestine!Breathtaking views from this elevated lot facing west across water for beautiful east TX sunsets!Balconies on main level or lower level patio poolside! 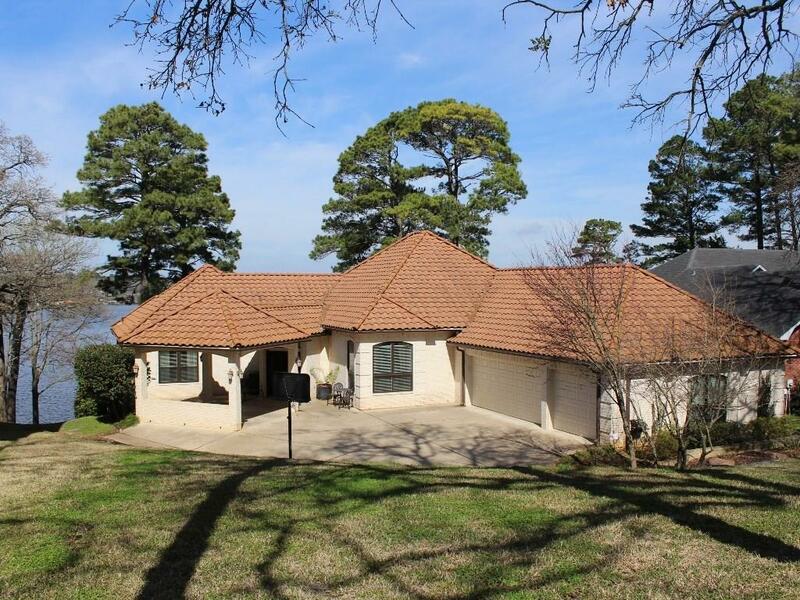 4 BD & 4.5 BA, approx 4044 sf., amazing gourmet kitchen (added 2015), gorgeous master bath & closet (totally renovated 2014), all new windows plus flooring, a/c, backup generator, & SO MUCH MORE! On the main level, you will find open living/dining/kitchen, oversized utility room, master suite with an amazing bathroom, and anexercise room/office/nursery. 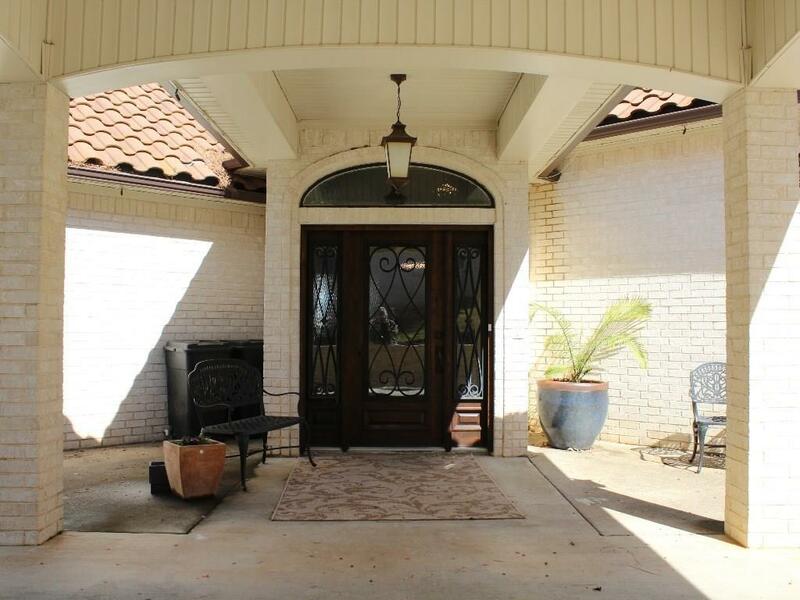 The lower level houses an additional central living area & 2 guest bedrooms & baths PLUS a bonus /game room with full bath located off the back patio that could be used as guest quarters. Relax by the wrought-iron fenced heated pool or head to the boathouse with covered & open seating, storage, 2 boat lifts plus jet ski lift. 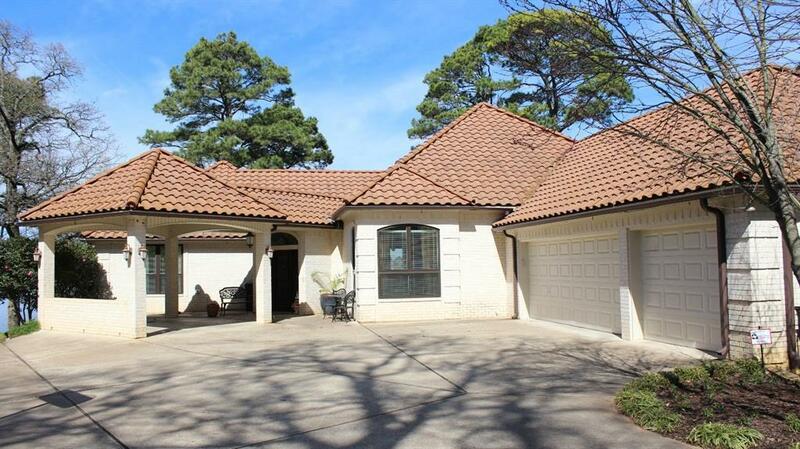 A three car garage and porte-cochere complete the package. Bullard school district.